Jozef Chrena is a landscape painter. Even though he grew up in a village Moravský Svätý Ján near the Morava River, because of restrictions imposed by the government he could never approach it, and surely not paint it on his canvas. Since he wasn’t allowed to paint the Morava River within the surroundings of his home village, he decided to at least paint the landscape panorama at the confluence of Morava and Danube from the Devín Castle. Shortly after setting his painting stand on top of the castle ruin a Border Guard soldier appoached him. He told Jozef that he had to turn his stand so that he wouldn’t be able to paint a view of Austrian territory. He recalled: “I began to paint only the Slovak side, but when he left, of course, I also painted the Austrian part. That's the kind of meaningless orders they had!” Such a small and today funny episode illustrates the pathological jealousy of totalitarian regime of protecting its Iron Curtain, behind which it was forbidden to look. Jozef Chrena was born on March 10, 1948 in Moravský Svätý Ján where he grew up with his parents and three brothers. In their family there was natural resistance against the communist regime, which alongside other facts originated with the fact that in 1950s the regime confiscated their only cow. Even since childhood, Jozef Chrena felt artistic inclinations and after the elementary school he wanted to continue his studies at the famous Bratislava’s School of Art Industry, (today it is the Jozef Vydra’s School of Applied Arts in Bratislava). However, he wasn’t accepted. Since he didn’t have chance to do art professionally, he worked in various professions after finishing secondary school; during the second half of 1980s, for example, he was an ambulance driver. However, in his spare time he continued to devote himself to landscape painting. During the revolutionary days of November 1989, Jozef Chrena decided to help fight for freedom. In Moravský Svätý Ján in a public place he posted a self-painted poster informing readers about the upcoming nationwide general strike, presenting demands for free elections and an end to the communist tyranny. In the following days and weeks, despite telephonic and written threats of physical liquidation, he was engaged in organizing local manifestations and establishing the public party within a democratic program. Together with his friends they decided to organize a march towards the Morava River, where they wanted to carry out a friendly meeting with citizens of the neighboring Austrian village Hohenau. On December 30, 1989 they managed to organize a March of Freedom, which on the Slovak side was attended approximately by 15,000 people. The march was a success, and so Jozef Chrena was hopeful for a better future for his country. In spite of various disappointments occurring over the following years, he was still determined to see the fall of the communist regime and gaining back freedom for his people. Today Jozef Chrena is a respected painter. 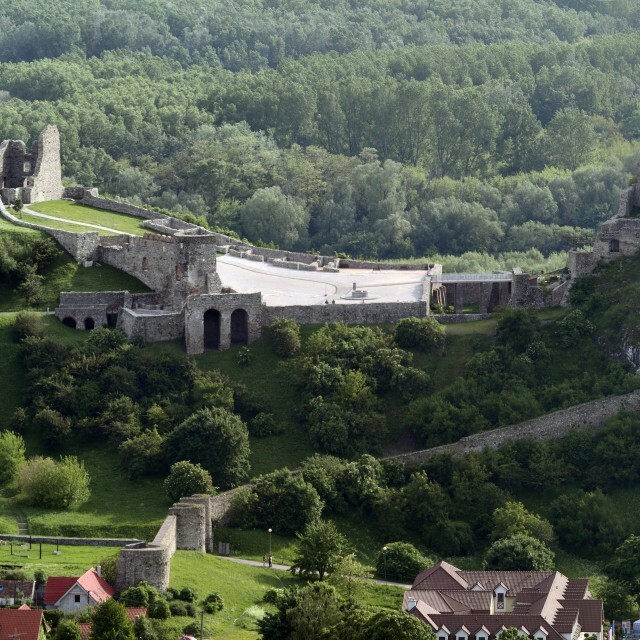 At the confluence of the Danube and Morava rivers, the ruins of the gothic Devín Castle lie on the castle hill. This massive cliff is a prominent feature of the landscape and there is a wonderful view from its top. 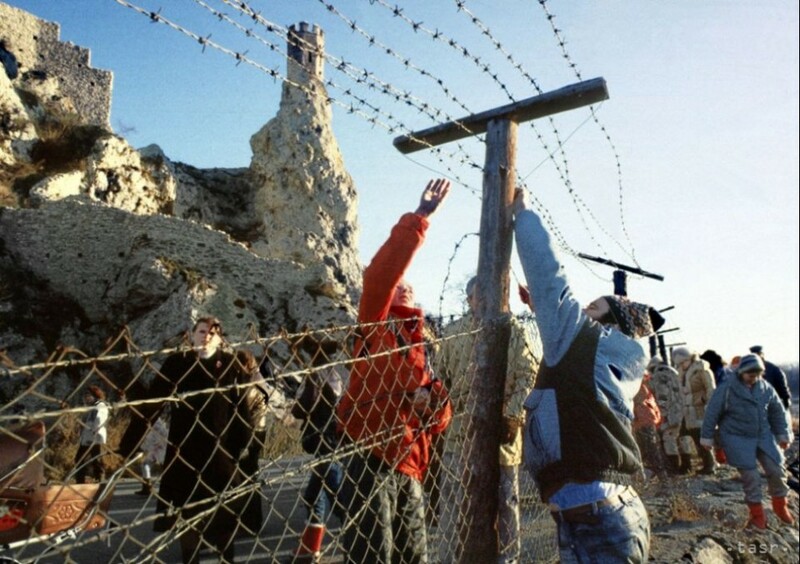 Devín Castle lies very near the state border with Austria and during the communist totality, the Iron Curtain wire barriers were installed directly beneath it. For this reason, any movement by people at the top of the castle hill was attentively watched by members of the Border Guard.